A collaboration among Gabriel Hamer’s Research Team in the Department of Entomology, the College of Veterinary Medicine and Biomedical Science, and the International Crane Foundation is helping to save the whooping crane populations by studying vector-borne parasites in both whooping and sandhill cranes in the United States and Canada. Doctoral student and veterinarian Miranda Bertram is leading the project, and works closely with Gabe as well as Sarah Hamer of the Department of Veterinary Integrative Biosciences, and Barry Hartup of the International Crane Foundation and Department of Surgical Sciences at the University of Wisconsin. The team is studying the ecology and epidemiology of both bird species with a special interest in vectored pathogens such as Haemosporida, which includes avian malaria, as well as other parasites that are vectored by biting flies. 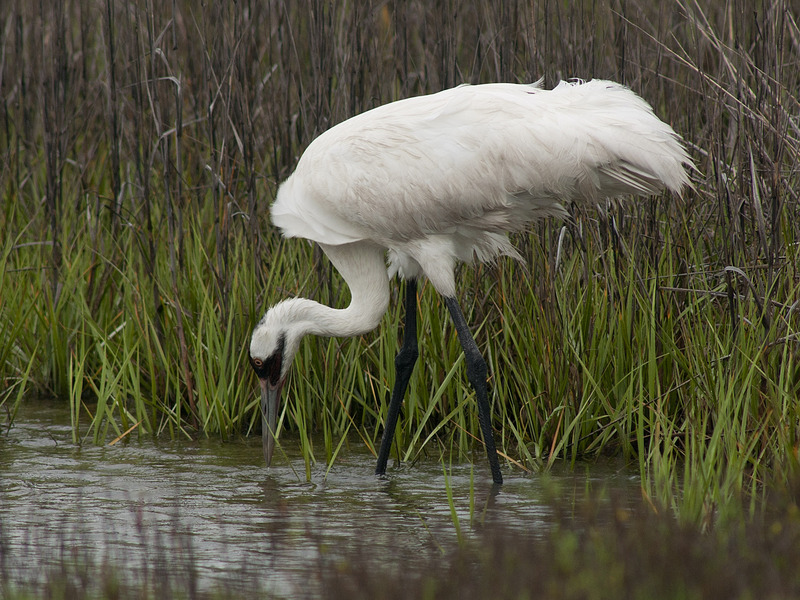 Hamer said that the goal is to find out the diversity and seasonal occurrence of parasites in cranes as a first step to determine whether the parasites are limiting the population growth of whooping cranes. To do this, Hamer’s team is studying whooping cranes, as well as using sandhill cranes as a surrogate species. The use of a surrogate species is a useful approach when studying an endangered species, since access to large numbers of individuals that are endangered is not attainable.